Select your country, choose "Manual Configuration" then click "next". 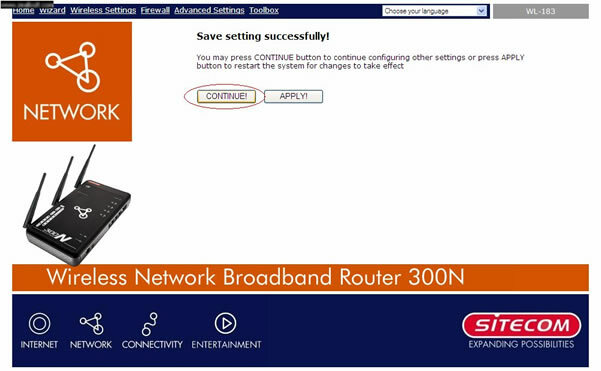 In "login method" select "PPTP" and below select "obtain and IP adress automatically". 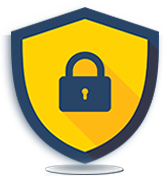 Enter your GuardMyIP account username, password (see welcome email) and next to "PPTP Gateway" - enter the IP address of VPN server (USE IP INSTEAD HOSTNAME!). Then click Apply. 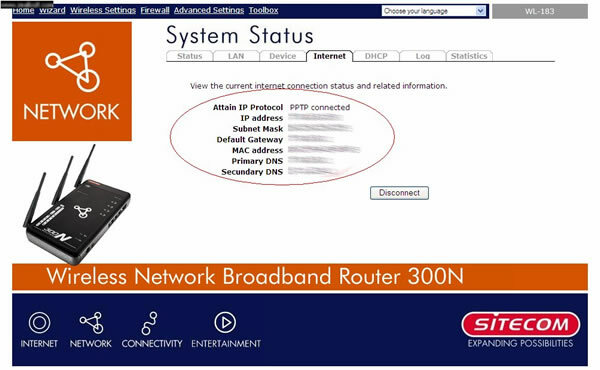 Please contact us for the IP addresses of our VPN servers. In the next step click "Continue". After this router will restart. To check the VPN status click "internet" tab.